In July, a 20-ft container loaded with fire hoses, tool boxes, safety shoes and a many other items arrived at MTC. 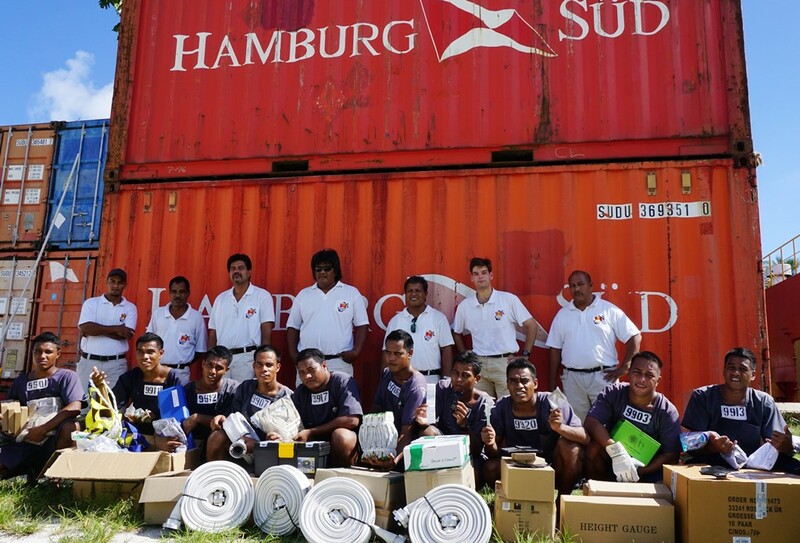 The German shipowners in Hamburg, represented by SPMS, sent equipment worth more than 15,000 AUD as a donation to the MTC. One lot of the donated items is personal safety equipment like safety shoes, overalls, helmets or safety harnesses. In such a high-risk work environment like a cargo ship, personal safety is paramount. At MTC the students are trained from their first day to follow safe working procedures and to protect themselves from possible dangers. The other lot are precision tools for metal fabrication like saws, taps, calipers or feeler gauges. As ships are made of steel, every seafarer is expected to have basic skills in metal fabrication to maintain and repair his ship.